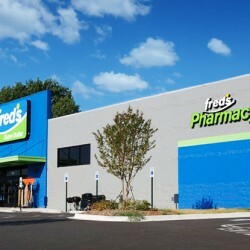 Tracing its history back to an original store in Coldwater, Mississippi, opened in 1947, today fred’s Inc. is headquartered in Memphis, Tennessee, and operates 601 general merchandise and pharmacy stores, including 14 franchised locations, and three specialty pharmacy-only locations. 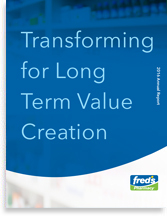 With a unique store format and strategy that combines the best elements of a value-focused retailer with a healthcare-focused drug store, fred’s stores offer more than 12,000 frequently purchased items that address the everyday needs of its customers and patients. This includes nationally recognized brands, proprietary fred’s label products, and a full range of value-priced selections. The Company has two distribution centers, one in Memphis, Tennessee, and Dublin, Georgia. 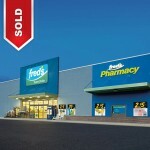 Fred’s Inc. also owns and operates one additional retail chain. Getwell Drug & Dollar is a convenient pharmacy destination, with 5 locations across Alabama, Tennessee, Georgia and Mississippi that offer an expanded over-the-counter medication selection, individualized patient care, and more than 1,700 $1 items.